• Full color drawings and graphics. • Three starting systems to help ensure positive results in any beginning situation. • FOR ... ONLY exercises (i.e. FOR FLUTES ONLY) that offer idiomatic solutions to the unique challenges of each instrument. • EXCELLERATORS (advanced supplemental exercises) to reinforce and enrich performance basics. • A nine page FOR OBOES ONLY starting system that gives beginners a solid foundation for learning in the full band setting. 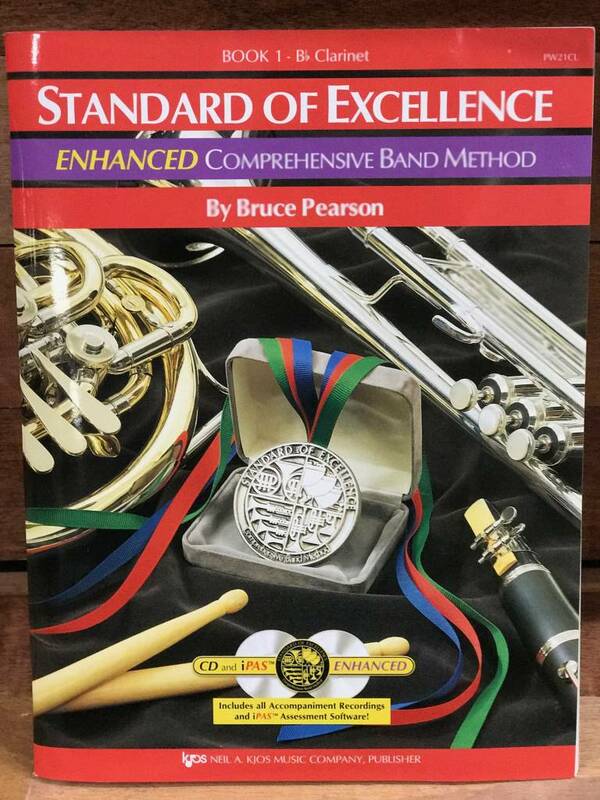 • Expanded French Horn and Percussion books, including a separate book for Timpani & Auxiliary Percussion, that address the unique needs of beginners on these instruments. • A comprehensive, totally-correlated Electric Bass book that offers expanded opportunities for student involvement. • Music from over 20 countries, with correlated enrichments, to encourage multicultural study. • Achievement Lines and GO FOR EXCELLENCE! test lines to ensure objective assessment of students' accomplishments. • A built-in reward system that motivates students and encourages musical growth. • Personalized access to all the features of the INTERACTIVE Practice Studio.